With Apple’s recent entry into the EHR market, interoperability in healthcare is attracting more attention. When it comes to medical imaging integration, interoperability has always had a high bar to entry. Historically, developers had to rely on the DICOM protocol, which was defined by the American College of Radiology and National Electronic Manufacturing Association. Since hitting the scene in 1983, it is the de-facto protocol built into CT scanners, ultrasound machines, and other digital radiology equipment. Using DICOM requires a very detailed understanding of how it works from the network level to the data structure. The entire standard, if printed, would require a decent size suitcase to carry. If a developer was tasked to use this standard, it required hiring a DICOM consultant to work and acquire a DICOM toolkit program; both very costly and time-consuming propositions. RESTful API has taken the world by storm. Accessing services running on Facebook, Google, Amazon, Azure, Watson or IoT devices means all we need to know is their RESTful API specifications, and use JSON as the language of communication. With these changes, developers no longer require the expense of a DICOM toolkit program or the need to hire specialists. While fully utilizing, for example, a CT image, would require additional knowledge of the CT itself, for the most part, exchanging and especially retrieving patient and visit information, plus getting images as JPEG or video as MP4 has become very as simple as downloading a photo. DICOM servers can do the conversion work for developers. In the world of medical imaging, DICOMWeb is still relatively new, but products like DICOM System’s Unifier can promote the interoperability of be added into the existing hospital’s imaging network and instantly activate DICOMWeb capabilities over the secure encrypted HTTPS access. As a bonus, the Unifier’s smart routing and proxying allows developers to access many different imaging systems in a hospital network from a single access point. Now, there is no excuse for not being able to integrate your mobile or cloud app to imaging systems. WinguMD has also switched to DICOMweb to integrate mobile medical photography. We have switched to DICOMweb primarily for the speed and simplicity of implementing interoperability. Quick implementation means users can start improving productivity in just a few days. In Part 2, I will dive a bit deeper into the API and services available. Attending HIMSS18 in Las Vegas? Receive an in-person demo at the Dicom Systems Booth 11649, Hall G. where WinguMD founders will be available. 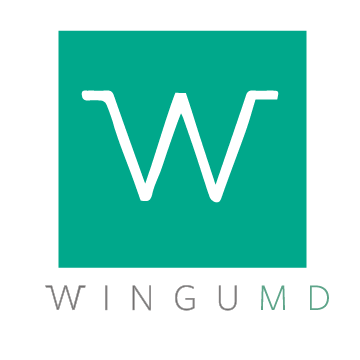 WinguMD designs, develops and markets Visual Mobile Medical Collaboration and Integration Solutions to enhance care delivery workflow for physicians, suppliers, payers and patients. As a Dicom Systems partner, WinguMD is able to integrate with PACS, EMR, RIS and other vendor platforms as part of your Enterprise Imaging solution.